Note: This post will be regularly updated with new sources. Last update: 14 November 2017! or allow individuals keep up to speed with the latest information. Some of the research is free (particularly if you are participating) or is reasonably-priced. In this post I'm going to cover some of the main recurring publications or places where there are regularly published reports. Beyond this there are many other blogs, one-off surveys, academic papers , conference presentations and vendor whitepapers which also deliver some very useful insights. I'll cover some of these sources in a future post. Some topics covered are specifically about the intranets and digital channels at work, but others cover the wider context such as internet habits or employee engagement. If you need some help with defining an intranet, ESN or digital workplace strategy or making a business case then don't hesitate to get in touch. Disclosure: I have contributed extensively to the DWG Research Programme and also am the author and editor of the Intranet & Digital Workplace Showcase report from Step Two. I have also worked with Sam Marshall at ClearBox Consulting and Jane McConnell from NetJMC. I have received no payment from any of the organisations mentioned below for inclusion in the list below - my observations are solely based on my experiences of sources I've used to inform my own research and writing. The reports below are presented alphabetically. Some links change occasionally, but I will endeavour to keep them up to date. AIIM has produced a range of good reports and material on information management, information governance and related digital themes. Some is free but most is for members. Altimeter Group (acquired by Prophet) is one of the leading research outfits on social business, and includes highly respected analysts such as Charlene Li and Brian Solis. Altimeter's annual report on the state of digital transformation is always very useful context for any large digital initiative. There have also been very good reports on social business and other areas too. Although not specifically about digital engagement, Aon Hewitt's annual global report on employee engagement trends is authoritative and extensive and covers one of the key intranet and digital workplace themes. Arctus' annual French e-transformation and intranet survey is an undiscovered gem. It's been running for over fifteen years, is very detailed and the substantial report is free to download in English and French. Although the survey is suited to the French market, the insights are relevant to other countries and provide an excellent insight into intranet and digital workplace trends. Sam Marshall's ClearBox Consulting now produce a mammoth guide to the SharePoint in-a-box market which I do some editorial work on. It really is genuinely very good - but it is a paid for report (and for disclosure please note that if you end up buying the report from my link I get a commission.) ClearBox also regularly produce other high quality research and other guidance which is free to download. Sam's presentations are also available to view. Resources are sometimes by different authors and cover topics from content management to strategy and governance and beyond. The Community Roundtable produces the definitive annual survey on community managers in organisations. Running since 2010, this has insights into the importance and value of the role for organisations, as well as profiling the individuals within the industry. The Community Roundtable also produces some other reports, including one on careers and compensation for professional community managers. Definitely worth a read for anybody involved with social platforms. Deloitte's Human Capital Trends report is a very detailed report based on a survey of 10,000+ businesses which looks at opinions on top HR future trends. It's very relevant to the future digital workplace and includes breakdowns by industry and country. The report is free to download with the 2017 report weighing in at a hefty 144 pages long. Noted analyst Josh Bersin is one of the key authors. The Digital Workplace Group, formerly the Intranet Benchmarking Forum, has an excellent and extensive research programme which focuses on intranets and the digital workplace. Unfortunately most of this is for members only, but you can download executive summaries, and there are also occasional free reports available for download. (I've recently written a couple of these). There are also some blog posts about the research. The annual Edelman Trust Barometer covers one of the big themes of intranets and the digital workplace. It's very useful background in considering how digital channels can help increase levels of employee trust. Findwise carried out the most comprehensive enterprise search survey from 2012 to 2016. The 2017 report pulls data from that but didn't conduct another survey - let's hope there is a 2018 survey. Gartner research is highly respected in IT circles and produce overviews of the major vendors in different topics. These are very useful for checking out the major provides and getting a broad view of platform capabilities. Individually Gartner reports are expensive but the reports are usually later made free by some of the profiled vendors who license the report from Gartner. For example one year I got my Enterprise Search report from Coveo. While that might sound like a potential conflict with Gartner's independence, the reports are very good. The Magic Quadrant reports most likely of interest to digital workplace teams are Enterprise Content Management, Enterprise Search, Enterprise Video Content Management, Social Software in the Workplace, Unified Communications and Web Content Management. IntraTeam allow organisations to benchmark their own intranet via a survey. There is a bias in terms of Danish companies but more and more international organisations are being added and the notes are very interesting reading. Kurt Kragh Sorensen regularly presents the results at conferences with the slides usually posted on SlideShare, for example at Intranet Now and at SMILE from Simply Communicate. Jane McConnell's annual Organization in the Digital Age report is based on a comprehensive survey across multiple aspects of the digital workplace with a large number of organisations. The annual report that emerges has the most comprehensive data set around on the digital workplace, and is the must-have report for spotting year-on-year trends. It's free for participants but available for purchase for others. A free executive summary is usually produced. Participating has real value and you get some data back comparing your position to others. Intranet and enterprise search legend Martin White of Intranet Focus has produced a series of free downloadable occasional research notes which give excellent overviews of different topics relevant to intranets, search and the digital workplace. Highly recommended. Each year Mary Meeker, a partner at KPCB, produces a mammoth presentation which covers all the latest internet trends. It's a fantastic summary of what's happening in the wider digital world with lots of statistics and graphs to back it all up. It can also be downloaded as a PDF. The internet trends dates back to 1995 and is highly respected. Nielsen Norman Group's intranet design annual is a great resource to find very detailed intranet case studies of successful implementations with masses of screenshots. For the level of detail you get, the price is very reasonable. Nielsen Norman Group also produces lots of other research reports on usability themes, many of which cover internal digital channels. Pew's research on internet and technology themes covers both the workplace and the wider use of digital. It's a rich resource of data to give wider context on what you do with your digital channels in the workplace. It also covers demographics, opinions and consumer habits. The research is all free to download and is consistently excellent. A critically important resource. Toby Ward's Prescient Digital occasionally produce good whitepapers which are very practical and have good case studies. These tend to focus on intranets. Although these have been less frequent in the last year or so the site is worth a visit. The Real Story Group specialise in reports on product evaluations in the digital workplace space which are probably less open to bias than say the Gartner or Forrester reports. Worth a look if you are evaluating products. Russian intranet consultant Elena Bogdanova runs a comprehensive survey of intranets in Russia and helpfully produces an English translation of the results. The data is useful to compare to other relative studies and trends. The annual Intranet & Digital Workplace Awards Showcase contains detailed case studies from that year's Intranet & Digital Wrokplace Awards and contains lots of screen shots of the world's leading edge intranets. It's very reasonably priced. I am, of course, somewhat biased as I edit and write the report. James Robertson's Step Two Designs also includes a number of other excellent whitepapers and research (free whitepapers are noted as being free to download), as well as numerous insightful blog posts. OK - I write some of those too. Andrew Wright's Worldwide Intranet Challenge offers a benchmarking service based on an annual survey completed by the employees of participating organisations. There is a free version plus tiered levels depending on how much data you want to include. From this large data set Andrew has produced some insightful blog posts and research pieces about intranet trends, although these have been less frequent in the past couple of years. Note that only the participating organisations get the full works. 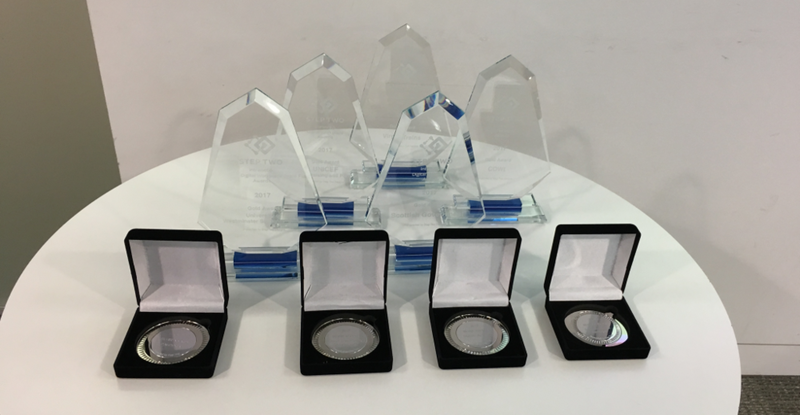 For the past six years I've managed Step Two's Intranet & Digital Workplace Awards. It's always a privilege to work on, enabling me to see many leading edge examples of intranets and digital workplaces and witnessing the great work that teams do around the world. Managing the Awards can be quite intense at times, and it culminates in the publishing of the Showcase report (which I edit and write) and also the roadshows where winners receive their medals and trophies. I recently co-hosted the London Awards roadshow at UNICEF's UK Headquarters with Catherine Grenfell from Step Two. It was a great afternoon - we had ten winners speaking - and it was nice to put faces to names for people who I'd mainly been communicating with through email. At the roadshow I did a short presentation about some of my favourite things from the 2017 Awards, although this only covered those winners who weren't presenting. So here's a 'blog version' of the same thing which references all the winners. Rita Zonius and her team have done an incredible job at rolling out the social network at ANZ. This year's platinum winner took every good practice and inspiring example they could find and applied the relative approaches to ANZ. What I really like is the emphasis on use cases for social. In fact they collected 150 of them, and also ensured there was a strong focus on helping frontline staff. The team based much of their criteria for success on the specific outcomes from those use cases rather than chasing the adoption figures which don't always equate to value. The University of Westminster Student Union's first ever intranet was a very well-executed small organisation intranet with good design, nice features and a well-judged roll-out. The fact that it was conceived, managed, designed, developed and tested by one person is remarkable, so hat's off to Jon May. 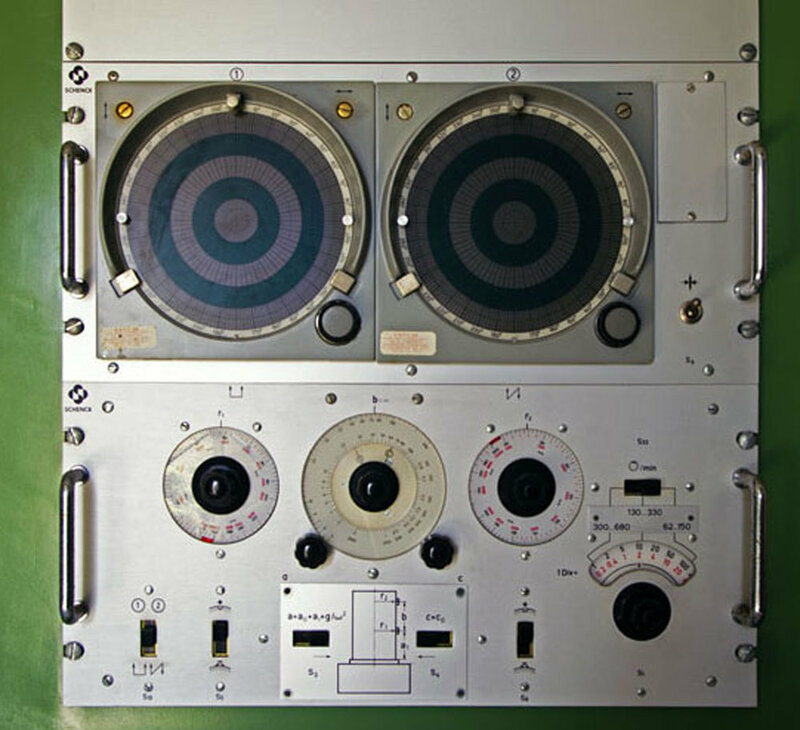 As part of the project, Jon even asked his grandmother to perform some usability testing, assuming that she was an example of a user who was less familiar with the type of interface he was designing. I love this tiny-but-inspired bit of innovation. The fact she passed 8 out of 15 tests and advised him that intranets could work well in other companies suggests his design was going in the right direction. I'd say that Virgin Trains has one of the most advanced mobile digital workplaces I've ever seen. The company ditched an under-performing traditional intranet and replaced it with a series of apps, ranging from the operational to those focused on engagement. This is unusual in itself, but they also take a highly innovative approach to apps features and content which takes inspiration from the Virgin brand and delivers everything with an innovative and humorous twist. For example, check out the launch video for their Yammer network. At the Awards ceremony, Den Carter demonstrated an app which wasn't part of their winning entry. This shows all the uniforms operated by Virgin Trains but also has a quirky feature where you can mix and match the different uniforms with funny results - it's purely there for a bit of fun. COWI has a history of doing some strong things around collaboration and it was nice to see the company extending its digital workplace to mobile. The company has introduced an app which helps engineers out in the field take site inspection notes, photos and even annotate maps on their mobile device. The app is very well executed, but I also like how they did testing with a pilot group who were really trying the app out in the field in real situations. In the launch video the app is being used half way up a vertical dam wall - an eye-opener if you have vertigo like me! The pilot group also then became a group of super-users and champions to help with the launch. To the best of my knowledge, Jesper Lauridsen from COWI, is the only person who has won an Award across two different organisations. I love everything about Mando's innovative timesheet fridge - a fridge full of end-of-the-week drinks which automatically opens up at 4pm on a Friday afternoon for staff to have a well-earned drink - only if all staff have completed their timesheets. A sarcastic chatbot on the top keeps those engaged and you can ask who hasn't completed their timesheet. It sounds like a novelty but actually it's meant very high levels of timesheet completion over many years, it allows the agency to develop its bot and AI skills, its got them (accidentally) some positive publicity and it's good for engagement. Most RFP processes are lengthy and time-consuming, both for the organisation running it and for the agencies bidding for the work. When developing a new global intranet project, the Commonwealth Bank of Australia (CBA) took a very different and highly innovative approach. They launched an 'intranet hothouse' - a three day event closer to an innovation session or a hackathon. Six vendors - all paid for their time - worked to collaborate, evolve ideas and develop prototypes in a highly focused environment. Eventually three vendors were selected to work on the project. I think that reduces risk and costs for all, is far more inspiring and produces better results. Global jewellery manufacturer and retailer PANDORA spent two thirds of their entire global intranet budget on change management, with plenty of marketing and training. I love the commitment to managing the change, but also the innovative high energy style of their roadshow launch events with music playlists, mobile quizzes and more. Morten Dal made us all participate in a mobile quiz at last year's IntraTeam and I could see how that would work well. VISA produced perhaps the most lovely looking entry with some elegant use of colour, iconography and layout on a revamped intranet. Overall there is a very nice user experience and the content is all mobile-first, task-oriented and written to good content standards. The team also created a very nice departmental landing page which has some standard features including team details, org chart, main activities, some , standard links and more, but all wrapped up in that very nice design. The same template is also used for teams within each department so you can really drill down into more detail. I thought this was a timely reinvention of the departmental landing page which can often end up as an uninspiring shop window. Also because all departments use it, there is an easy and consistent way for users to explore that teams do. There are many intranets which are on a journey to be more of a digital workplace and I like the way Scottish Government has gone about it, developing an intranet homepage which features a number of individual widgets, each representing an app. These apps either contain content or manage transactions such as clocking in and out of work. Users can add which apps they want to the intranet homepage. This approach gives Scottish Government a flexible intranet homepage which can be evolved as an attractive gateway to the wider digital workplace. It was lovely meeting many of the people involved in this year's Awards including Rita, Jon, Den, Jesper and many more. At the London event I even met Catherine from Step Two for the first time face to face, even though we've been Skyping each other for six years or so. Intranets and digital workplaces may be a bit of a niche, but the teams involved are very nice. It's a great industry to work in. I'm looking forward to 2018 already. It all starts again in April so if you're working on a project now, consider entering! See you then. External advertising on internal-facing intranets has been around since intranets first emerged in the mid- to late-nineties. Even in 1997 marketers were eyeing up the possibilities, although it was also clearly a contentious issue. Since then larger corporates like BT have carried some modest levels of external advertising and, today, it is possible to advertise on the company intranet for a number of local councils in the UK. The advantage of intranet advertising is singular – it brings in revenue. This can be a very attractive option for cash-strapped departments who can either plough funds back into the intranet, or who need to impress cost-cutting senior executives where ROI is king and intangible benefits don’t count for much. For local councils in the UK that have been squeezed from years of austerity, any extra revenue is potentially welcome. Interestingly, the opportunities for the intranet as a potential source of revenue could increase. As the data which intranet teams use to send targeted messages becomes richer and more sophisticated, there is a greater potential for very targeted advertising. That has real commercial value for marketers – being able to reach individuals based on location, role and even interests – although it may start to sail close to the wind regarding data protection. Of course, the elephant in the room is whether the employees like it. Does it disengage users and erode trust and confidence? Most intranets have a pretty murky image and carrying adverts just might make it that little bit murkier. On the other hand, do employees actually care that much? I genuinely don’t know the answer, and the truth will depend on a number of factors. Here’s six elements to consider when thinking about running external advertising on your intranet. Is external advertising right for your organisational culture? If you’re an international company, will all your locations feel the same way about it? Intranet managers should know their audience and their gut feel about whether external advertising will work might be a good indicator. In general individuals may be more tolerant of online advertising in some contexts. For example, I’m quite happy to put up with adverts on sites and services which provide value but are free to use, for example Spotify or Skype. But in work time, where advertising is unexpected or has the potential to get in the way of what employees are doing, advertising may irritate. A company I once worked for experimented with advertisements as screensavers and it wasn’t that popular. Even though it wasn’t really that evasive, more work was needed to explain why the change was taking place. The initiative hadn’t anticipated an undercurrent of “the management is making more money out of us again!” One particular area to watch for is whether there could be a perception that your organisation is misusing your personal data for financial gain. The success of external advertising also depends on how “in your face” the adverts are and how often they run. Nielsen Norman recently carried out some research which shows just how annoying some online advertising can be, particularly when it is disruptive to your user experience. If you choose to use ads then it’s all about getting a balance. For example when BT ran advertising, Mark Morrell points out that the levels were kept reasonably light and subsequently they had very little pushback from users. You also need to be wary about who you chose to advertise. For example a banner advert for Uber and its recent bad publicity might not sit that well with a page dedicated to inclusion and diversity. At the same time some forms of advertising could even prove popular, if they were promoting items where staff can get perks or discounts. A 10% off voucher on a weekend break? Yes, please. A key point to watch for is also whether featuring external advertising fits in with your intranet brand and strategy. You may have cultivated a social intranet which is perceived as a channel owned by employees rather than being a corporate mouthpiece. Or your strategy may be to reach that goal. Would having intranet ads sabotage what you’re trying to achieve? Naturally you’ll want to use data to try ascertain what employees think of external advertising on the intranet. How do they feel and how do they act? Are site metrics and click through rates for other promotions affected? Does your intranet satisfaction survey reveal strong opinions? Could you do a simpler pulse check via a poll? Do you have in intranet focus group to test the idea out on? Does everyone ignore the ads anyway? You may be surprised by the results. Is external advertising right for your intranet? Personally, I think the negatives outweigh the positives, but I could be persuaded if 8 out of 10 users said they preferred it. I’d be fascinated to hear from anyone who has run external advertising and has some evidence of what the users think. Recently, we’ve heard a lot about chatbots and their use within the digital workplace and for internal communications. This was a recurrent theme at the recent IntraTeam conference in Copenhagen. Many of us agree chatbots have many potential uses and their widespread deployment in the digital workplace is coming soon. So far, beyond the use of chatbots in Slack and of popular digital assistants like Siri and Alexa, there have been few examples cited of chatbots which are actively serving the needs of employees. This post aims to bring a few of the examples of workplace chatbots that are around. Here are seven interesting examples which have emerged so far. There’s a clear case for chatbots to be able to carry out simple and repeatable work-based tasks, particularly in the HR space. Overstock is an online retailer that’s deployed an HR chatbot called Mila. Employees can let it know they are off sick (and they get a sympathetic message) and then it also messages their manager. Other simple HR tasks such as booking holiday and checking work rosters are also covered. I’m not sure whether a message from Mila would make me feel better, but it probably helps the HR department. One of the earlier chatbot experiments was Ivy at Intel, an HR virtual assistant. Built in 2013 to answer questions about pay, benefits, stocks and related issues, the tool uses a “combination of natural language processing, artificial intelligence and optimized search” and has over 4,000 responses to different questions. A couple of years later Intel even advertised for a content editor to work on the project. A few interesting points about Ivy – she has a human persona and image, metrics and feedback (via star ratings for the quality for the interactions) are used to make improvements and Intel emphasise the importance of artificial intelligence. Ivy learns and therefore improves. An even earlier chatbot or virtual agent is MIA (“My Interactive Adviser”) who was helping contact centre staff answer customer questions for the Co-operative Bank as far back as 2011. Staff can ask natural language queries about products, policies and services. MIA is represented by an illustration of a person. Early benefits were impressive with an estimated reduction in call times of 35 seconds and speeds of up to 65% faster responses to customer queries. Prophets Agency is a Belgian digital and brands agency. They’ve created an intriguing workplace dashboard that appears to have some chatbot functionality, although it could be just some cute messaging. It helps you book a seat and says happy birthday. Watch the video below to see it in action – hat tip to Ellen van Aken and her excellent collection of intranet launch and teaser videos. The Kitchen Wall from ProphetsAgency on Vimeo. A chatbot which sits on top of the intranet and answers questions is an intriguing prospect. Bloomberg mentions that at Microsoft there’s a chatbot called ADBot which answers questions from the corporate directory, and the “company is also working on building a bot on top of its intranet so employees can ask a digital assistant simple questions, such as what’s for lunch at the cafe.” Sorry, the article doesn’t mention any more than that, but it was from May 2016 so this might something that’s now up and running. PubComms Singapore is a subsidiary of global agency Publicis Groupe. There’s a very detailed report (which is well-worth reading) on their experiments with two chatbot interfaces for HR policy information delivered to employees. One chatbot is delivered via a desktop and other via Facebook Messenger. In both cases employees were positive, rating its usefulness in improving the employee experience as 7.6 and 7.9 respectively. There are lots of other detailed insights in the report. This is a fun example of chatbots and gamification, but it also shows the potential impact and value. Mando are a UK-based digital agency which developed an app which unlocks their office fridge which is full of beer for end-of week drinks at 4pm on a Friday. However this only happens if everybody has submitted their timesheets for the week. The app has been running since 2012 but in 2016 Mando added some chatbot and AI functionality to allow staff to interact with it. You can ask it questions, particularly about blockers (those who haven’t submitted the timesheets) via Slack or Facebook Messenger, and it also learns to refine responses. Future plans include facial and voice recognition. While this is fun, timesheet submission is very high and the chatbot has gained the agency both awards and publicity. I have a strong suspicion that more and more examples of successful chatbots deployed inside the digital workplace will be revealed over the coming months. There may also be examples out there which I’ve missed. Please do let me know of any you know in the comments below or by getting in touch. Eventually I may do an updated post with a new list. Where are we with wearables in the digital workplace? Actually advances in workplace wearables do not appear to have slowed down, with a variety of wearables seeming to be making advances for different uses across a number of industries. Interestingly, wearables didn’t appear on the Gartner’s 2016 cycle, and now even has it’s own hype cycle which lists the enormous potential uses and types of wearables available to consumers from smart contact lenses to a perspiration analysis patch. While Gartner warns that “most wearables are still exploratory products” there is not only widespread consumer take-up (e.g. smart watches and fitness trackers) but also significant activity within the workplace. However, there are also some significant issues which need to be resolved around ethics and data privacy. In the digital workplace community, the focus has tended to be on smartwatches and glasses, but the use of wearable tech is much wider. Here’s nine types of wearable that may already be operating in your organisation or coming to a workplace near you soon! VR is already here and being used by different organisations. For example, engineering firm MWH Global uses VR to showcase environments to clients before they get built, in order to minimise the risks of expensive alterations further down the line. Google Glass may have flopped because Google forgot glasses were also a fashion item, but the use case for the workplace is much clearer. Smart glasses can be used to create “augmented reality”, relaying useful information to engineers and others using machinery within their field of view, but in a way which allows engineers to operate hands-free but doesn’t necessarily distract them from the task in hand. Schneider Electric has tested this use with engineers through smart glasses which enable engineers to see relevant data about the machine their working on. Small precision engineering firm ITAMCO have also done something similar with Google Glass. I interviewed Joel Niedig from ITAMCO a couple of years ago and their experiments were truly ground-breaking. There are obvious other uses for headgear such as safety helmets and hats. General Electric has been developing smart helmets for field workers to allow them to communicate with more experienced employees to guide them through tasks or give assistance. Meanwhile Smartcaps is a commercially- available wearable which helps to monitor fatigue for drivers and those operating machinery. Fitness trackers – usually as wristbands, watches or a clip-on item – are very popular in the consumer space. Corporates have been supplying these to employees as part of well-being programmes for a while, with the potential to increase productivity, reduce absenteeism through sick days and reduce insurance bills. Research has suggested that fitness trackers can enable savings of up to $1000 per employee and also that 1 in 3 large companies are already offering this, with more to follow over the next two years. Name badges have been used as a convenient place to put a chip to derive data about employee movements. For example, the Bank of America used name badges to find out that the most productive workers took work breaks together, enabling it to follow through with a policy which had benefits across the board. Meanwhile Fujitsu’s “internet of thing” range of sensors includes a name badge product. The potential for different smart clothes, particularly for health and safety reasons or to suit different roles, is interesting. South Korean steel giant POSCO has been experimenting with sensorsin employee’s safety vests to monitor heart rate, body temperature and other factors, as well as GPS to locate individuals during emergencies. Footwear also may have applications. Thankfully no one’s come up with a convincing workplace use case for smart underpants yet, although there have been some “interesting” ideas in the consumer world! The popularity of smart watches with consumers makes this a prime candidate for enterprise use. However, the take-up of enterprise applications on the Apple Watch seems very low. Some companies are going ahead with more focused uses. For example. Tata Steel in India has been piloting a smart watch with crane operators which monitors health and environmental risks, and also issues warnings. POSCO has also run a pilot using smart watches to broadcast warnings when there are emergencies such as a gas leak. Personally, I find this idea abhorrent for many reasons, but perhaps I am being narrow-minded. Some companies such as Swedish start-up Epicenter is now micro-chipping employees, albeit on a completely voluntary basis. A small chip embedded between the thumb and index finger can be used to open doors. There are even monthly parties where employees can join the 150 who have already been chipped. Some might see human beings as the ultimate wearable, but I believe this is a step too far, with highly questionable ethics. Wearables feel like they will end up as a significant component of the digital workplace, particularly where there are non-deskbound jobs and they support specialist roles such as field engineers or operators of heavy machinery. Clearly we’re still at the experimental and early adopter stage for enterprise wearables and the internet of things, but decision-makers would be wise to factor wearables in as part of their thinking when considering the scope of their future digital workplace ecosystem and the related opportunities. If you found this article useful and want to receive notifications of future posts, then sign up to the Two Hives monthly newsletter below. Over the years the University of Liverpool have done some great work in the mobile app space, both internally and externally-facing. They’ve won a couple of Intranet & Digital Workplace Awards. and I’ve also seen Paul Hagan, the leader of the team, speak on a number of occasions and talk a lot of sense about developing task-focused, user-centred apps. I’ve also been intrigued because Paul used to be a professional musician. I’ve always wondered whether the experiences of being in a band helped him in running a close-knit team and even collaborating with stakeholders. So, I thought I’d run a short interview with Paul. The original intention was to turn to this into an article, but Paul’s responses are very interesting, so I’ve actually decided to publish the whole interview unedited. Steve: How did you end up at the University of Liverpool in charge of the mobile development team? Paul; I actually have an undergraduate degree in music, so feel something of a fraud working in a department full of computer scientists! I was at university in the late 90’s, when the web was first starting to become “interactive”, and a small part of my course involved music for multimedia, and publishing on the web – simple MIDI files and the like. I’d always enjoyed messing around with computers when I was younger, so pretty quickly got the knack of putting web pages together, and before I knew it I was doing simple websites for friends and family. This continued alongside my career in music, to the point that by the time I was ready to close that chapter of my life I was able to transition pretty easily into a full time job doing web stuff. Eventually I found myself working at the University, primarily in a UI/UX design role, and then when the opportunity came up to get involved in mobile development I jumped at the chance. You played in the band Amsterdam for years, played festivals, recorded with Elvis Costello and so on. Has the experience of being in a band influenced or helped you in what you do now? There aren’t many areas of my life that haven’t been impacted in some way by my experiences in the music business and playing in bands, for better or worse. You really do learn a lot about the value of collaboration, leadership, coping with adversity, and the importance of enjoying what you do – particularly in relation to achieving to your full potential. To me, playing with a group of musicians is the ultimate example of the whole being more than the sum, which has definite similarities in terms of running a full-stack development team like ours, where there are a range of disciplines, skills and temperaments that need to work collaboratively for things to get done. Mercifully, after the rollercoaster of releasing records and being on the road, music has gone back to being something that I do strictly for pleasure, and is an amazing form of escapism – which I’m sure in itself has a positive impact on the rest of my life. I’m not suggesting everyone should join a band, but certainly having a few hours every week where you do something that allows you to totally detach from work/family commitments etc. is invaluable. Which of your projects are you most proud of and which has had the most impact? There are 2 projects I’ve worked on recently that have made me feel like I’ve done something really worthwhile, which is a nice thing to be able to say about any job. The Catch It app from the University of Liverpool. Screenshot appears courtesy of the University of Liverpool. 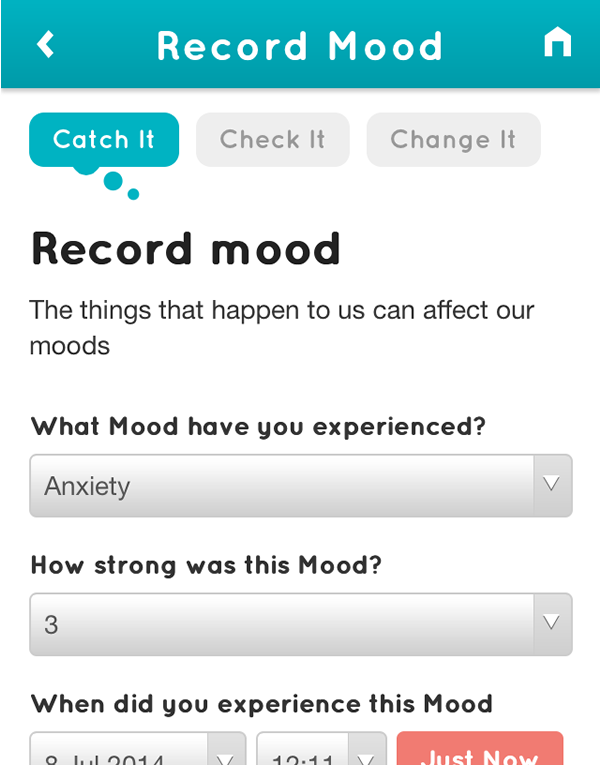 We’ve been working with the School Clinical Psychology on an app called “Catch It” which is a mood diary for people either considering, or already attending, Cognitive Based Therapy sessions to help catalogue and manage emotional incidents. We’ve also launched an online recruitment platform for the University’s “Scholars” scheme, aimed at giving young people from under-represented backgrounds a better chance at a University education. Eligible applicants would typically be the first in the family to attend University, and may have lived in care, or be from a very low income household. 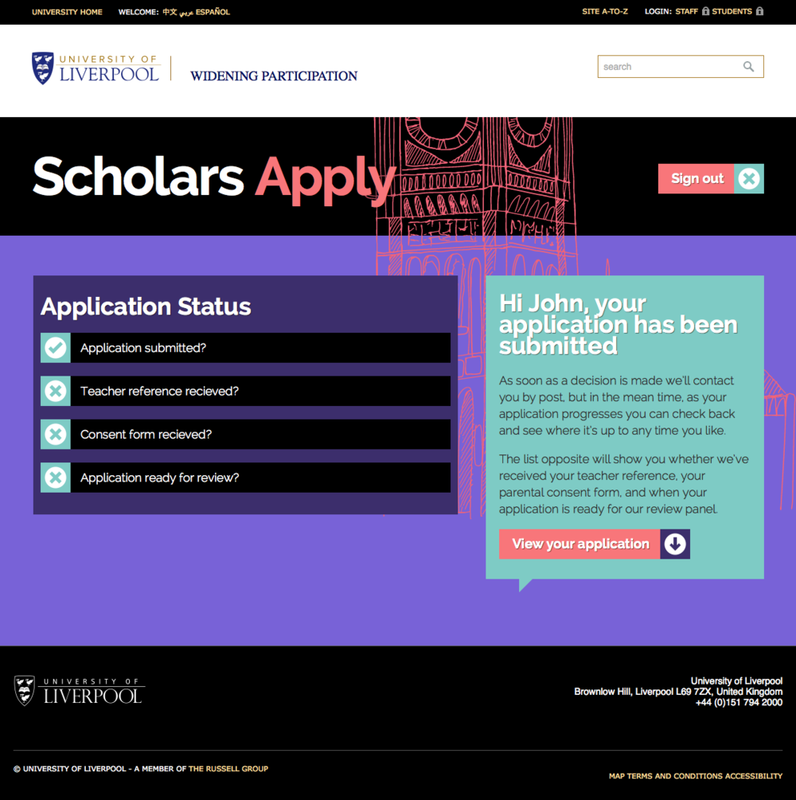 The Scholars app from the University of Liverpool. Screenshot appears courtesy of University of Liverpool. Both cases have reminded me that digital tools still have a very real human impact, and that success doesn’t always have to mean increasing turnover, or the number of “eyeballs”. The apps you produce are always ruthlessly focused on the task in hand. No bells and whistles! How did you end up with that approach and is that ever a hard sell to stakeholders who want all the extras? Ever since reading “The design of everyday things” by Donald Norman, I’ve been obsessed and infuriated by the ridiculous complexity of the world we live in, mainly thanks to the well-meaning but ultimately unhelpful actions of designers and engineers the world over. It’s an amazing read which is worth a few hours of anyone’s time, but has essentially has a single message – it’s not your fault. Can’t remember how to log on to your banking app? Not your fault. Don’t know which button to press to buy something? Not your fault. Don’t know how to get a paper towel from the dispenser? Not your fault. These are all problems that are routed in bad design, overly complex solutions, and people being afraid to leave things out – or worse still, breaking convention for the sake of newness. I think I’m just horrified by the idea of ever designing something where it isn’t immediately apparent what action is required by the user, and what the consequences will be (referred to as “knowledge in the environment” by Norman) – which lends itself to clear, purposeful UI, and a limited feature set. Is it true you bring a large picture of a Swiss Army Knife into meetings to explain your approach? Yes – I’m not above using a couple of props to try and jolt people into seeing that mobile apps aren’t just another opportunity for building bloody portals. The giant Swiss army knife represents an app that’s overloaded with features, while on the flip side of the board is an electric screwdriver. We use it to pose the question “if you had to spend all day screwing in screws, which would you rather use?”. I guess the point of the whole palaver is to help people to engage with the notion that a successful app focuses on a single, clearly identifiable problem or task – ideally one that’s carried out regularly, and justifies repeated use of the app. I also have a magic wand that gets brought out from time to time if someone is having difficulty focusing on the problem they’re trying to solve, or is being distracted by the medium. Instead of talking about apps and smartphones, we ask them to wave the wand and tell us what has changed, or what problem has gone away – then think about how mobile technology might help them achieve that. In the digital workplace space some organisations seem to advocate beautiful, integrated environments while others move to a series of individual, dedicated apps. What works best and can the two approaches be reconciled? This is something you’re never going to get consensus on, although my personal opinion is that mobile is a great lever to help us move away from the horrendous mega-portals of the past, and into a state where small, flexible apps are developed to solve discreet problems and carry out linear tasks quickly and easily. Although I don’t think large organisations will ever be able to do away with some kind of enterprise IT platform at the heart of the business, the existence of data warehouse tools like Business Objects (which we use at the Uni) mean that apps can exist more or less in isolation, collecting and submitting data back to a central repository that can then be made available to other systems as needed. Using this approach at Liverpool – relying on web services for connectivity and a central data repository – means that we don’t need to worry about whether a new app can talk to product X or product Y. They all communicate through a central source, but can be written in difference languages, have different development stacks, and run on different operating systems. Many thanks to Paul for spending so much time to craft his answers. You can connect with Paul via Twitter.